Most classes participate in classroom music with Mrs. Stachnik during the regular school day. 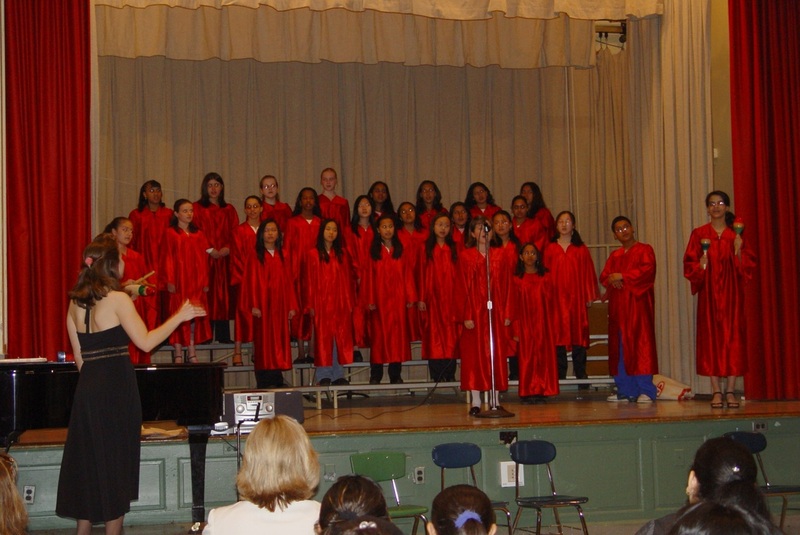 Classes learn proper singing techniques, as well as beginning instrumental instruction; including guitar, piano,glockenspiel, and percussion. Movement is integrated into all of these classes. Students who possess strong musical talent are urged to audition for one of our many music ensembles. All ensembles perform at our two yearly shows: The Holiday Show, and The Spring Musical. This is a beginning choral group, consisting of 2nd and 3rd graders. All students interested in this ensemble are required to audition at the beginning of the year. Audition announcements will be made in students’ classrooms. A more advanced choral group, this chorus consists of 4th and 5th graders. Interested students are required to audition for this ensemble at the beginning of the year. Audition announcements will be made in students’ classrooms. This year’s 4th Period Band, The Shakers, will meet on Friday's during Lunch. The Shakers will consist of talented students, playing keyboard, guitar, drums, and more! Instruments, for the most part, will be provided. Auditions are required. This year our 5th Period Band, the Chili Peppers, will meet once each week on Mondays. This group consists of students with some experience playing keyboard, guitar and drums and more. Instruments will be provided in-class for student use.